CEDAR FALLS — Cedar Falls did not drop a singles or doubles match as they posted 9-0 victories over both Dubuque Senior and Western Dubuque Saturday in Mississippi Valley Conference boys’ tennis action. The opener against Senior was highlighted by a comeback victory at No. 1 doubles by Siddhartha Kalala and Ben Campbell. After dropping the first game, 6-3 to Dylan Fair and Josh Huseman, 6-3, Kalala-Campbell won game two, 6-1 and the tiebreaker, 10-8. In the win over Western Dubuque, Pranav Chandra at No. 3 and Cedric Hassman at No. 5 each scored 6-0, 6-0 victories. WEST SPLITS: A No. 1 doubles win by Zach Heyerhoff and Andrew Christensen helped clinch a 5-4 win over Western Dubuque for the Wahawks Saturday. Heyerhoff, Nick Ritland, Christensen and J.P. Richmond also scored singles victory for West in the win. Against Senior, the Wahawks won a pair of thrilling matches in 7-2 loss. Heyerhoff def. Dylan Fair, 3-6, 6-2, 10-7 at No. 1 singles, and Richmond out-lasted Will Lawless 3-6, 6-3, 11-9. TIGERS POST 9-0 SWEEPS: Vipsa Dodiya fought off five match points at No. 6 singles, helping Cedar Falls secure a perfect weekend with 9-0 wins against Western Dubuque and Dubuque Senior. Dodiya rallied from a set down to Amanda Dongherty Western Dubuque in a match tiebreak, 5-7, 6-2, 11-9. Cedar Falls won the remainder of its matches in singles and doubles in straight sets. COLUMBUS THIRD AT BENTON: Ben Skyles tied for ninth overall as the Sailors tied for third at the Bobcat Invitational Saturday. Skyles carded a 41 as Columbus posted a score of 171. Five golfers tied for first with 39s, Ethan Fox and Kaden Howard of Independence, Jacob Heit and Nate Ettleman of Benton Community and Brandon McCarty of Clear Creak Amana. 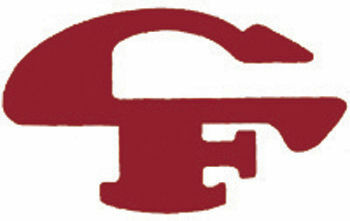 CEDAR FALLS FIFTH AT CEDAR RAPIDS: Sarah Albaugh and Emerson Green finished first and second in the long jump, leading Cedar Falls to fifth place in Saturday’s seven-team Draxton-Stiers/Wilkinson Invitational at Kingston Stadium. Cedar Rapids Prairie won the meet with 136 points, followed by Iowa City High with 108. The Tigers, performing without their full varsity lineup, accumulated 81 points and finished 14 points back of third place Cedar Rapids Kennedy. Albaugh’s leap of 17 feet, 11 inches is the third-best long jump effort by an Iowa girl this season. Green went 16-0 1/4 for second place in the event. Cedar Falls received a runner-up finish from its combination of Lily Becker, Madelyne McFarland, Noelani Mattson and Anaya Barney with a time of 1:09.61 in the shuttle hurdle relay. Freshman Paige Wageman of Cedar Falls added a second-place run in the 3,000 in 10:55.88. TEAM STANDINGS — 1. Benton Community 162, 2. Solon 164, T3. Columbus and Independence 171, 5. Williamsburg 173, 6. Clear Creek Amana 176, 7. Center Point-Urbana 180. MEDALISTS — Ethan Fox (Indee), Kaden Howard (Indee), Jacob Heit (BC), Nate Ettleman (BC), Brandon McCarty (CCA), 39. COLUMBUS — Ben Skyles 41, Ben Sinnott 43, Charlie Lorenz 43, Trey Mudd 44. SINGLES — Siddhartha Kalala (CF) def. Dylan Fair 6-2, 6-2, Ben Campbell (CF) def. Josh Huseman 6-2. 6-4, Pranav Chandra (CF) def. Gregor Kincaid 6-1, 6-0, Neel Shah (CF) def. Auden Rader 6-3, 6-2, Cedric Hassman (CF) def. Will Lawless 6-1, 6-1, Vikash Ayyappan (CF) def. Connor Sindt 6-1, 6-4. DOUBLES — Kalala-Campbell (CF) def. Fair-Huseman 3-6, 6-1 (10-8), Chandra-Shah (CF) def. Rader-Lawless 6-0, 6-0, Hassman-Ayyappan (CF) def. Kincaid-Sindt 6-3, 6-0. SINGLES — Kalala (CF) def. Colton Witthoft 6-3, 6-1, Campbell (CF) def. Buerger 6-0, 6-2, Chandra (CF) def. Bailey Rice, 6-0, 6-0, Shah (CF) def. Matt Maiers 6-1. 6-2, Hassman (CF) def. Ben Hingtgen 6-0, 6-0, Ayyappan (CF)def. Hefel 6-1, 6-2. DOUBLES — Campbell-Chandra (CF) def. Witthoft-Maiers 6-2, 6-0, Kalala-Ayyappan (CF) def. Buerger-Rice 6-1, 6-1, Shah-Hassman (CF) def. Hingtgen-Hefel 6-0, 6-0. SINGLES — Zach Heyerhoff (West) def. Witthoft 6-2. 6-0, Nick Ritland (West) def. Buerger 6-4, 6-4, Andrew Christensen (West) def. Rice 6-1, 6-0, Maiers (WD) def. Will Klabunde 4-6, 6-1, 10-3, J.P. Richmond (West) def. Hingtgen 6-3, 6-2, Hefel (WD) def. Austin Tieskotter 7-5, 6-3. DOUBLES — Heyerhoff-Christensen (West) def. Rice-Maiers 6-1, 6-2, Witthoft-Buerger (WD) def. Ritland-Klabunde 6-1, 6-1, Hingtgen-Hefel (WD) def. Richmond-Tieskotter 6-3, 4-6, 16-14. DOUBLES — Fair-Huseman (DS) def. Heyerhoff-Christensen 7-5, 6-3, Roder-Lawless (DS) def. Ritland-Klabunde 6-7, 7-5, 10-3, Kincaid-Sindt (DS) def. Tieskotter-Richmond 6-3, 6-2. DOUBLES — Keeran/Keeran (CF) def. O’Donnell/Kaiser, 6-0, 6-1, Amjadi/Knox (CF) def. Ries/Sampson-Brown, 6-3, 6-4, Escalada/Dodiya (CF) def. Hartel/Ram, 6-2, 6-2. SINGLES — K. Keeran (CF) def. McKenzie Simon, 6-0, 6-1, M. Keeran (CF) def. Brianna Dolpin, 6-0, 6-0, Amjadi (CF) def. Olivia Kertels, 6-1, 6-0, Knox (CF) def. Meg Besler, 6-0, 6-0, Escalada (CF) def. Grace Pitz, 6-1, 6-0, Dodiya (CF) def. Amanda Dongherty, 5-7, 6-2, 11-9. TEAM STANDINGS — 1. Cedar Rapids Prairie 136, 2. Iowa City High 108, 3. Cedar Rapids Kennedy 95, 4. Dubuque Hempstead 84, 5. Cedar Falls 81, 6. Cedar Rapids Jefferson 48, 7. Cedar Rapids Xavier 37. 100 — 1. Madie Andorf (Prairie) 12.73, 4. Anisia Smith (CF) 13.13. 800 — 1. Rachel Nagel (Jefferson) 2:27.04. 1,500 — 1. Ella Popenhagen (Kennedy) 5:04.32, 6. Devin O’Loughlin (CF) 5:35.52. 3,000 — 1. Popenhagen (Kennedy) 10:43.11, 2. Paige Wageman (CF) 10:55.88. 100 HURDLES — 1. Kajsa Gerkens (Kennedy) 15.06, 5. Noelani Mattson (CF) 16.31. 400 HURDLES — 1. Lilly Reynolds (ICH) 1:10.39. 4x100 — 1. Hempstead (Hailey Klein, Emalee Ryder, Megan Hammerand, Janyla Hoskins) 51.78, 6. Cedar Falls (A. Smith, Raelynn Smith, Grace Penrith, Lauryn Bennett) 54.34. 4x200 — 1. Iowa City High (Emma Cooper, Azzura Sartini-Rideout, Ayana Lindsey, CeCe Kelly-Harvey) 1:49.57, 4. Cedar Falls (A. Smith, Penrith, R. Smith, Jada Golden-Smith) 1:53.54. 4x400 — 1. Iowa City High (Kelly-Harvey, Peyton Naeve, Caroline Schaeckenbach, Lindsey) 4:08.27, 3. Cedar Falls (Grace Berte, Golden-Smith, Albaugh, Rachel Brokenshire) 4:28.83. 4x800 — 1. Iowa City High (Lucy Corbin, Jae Dancer, Rowan Boulter, Aly Hecker) 10:28.43, 5. Cedar Falls (Natalie DeGariele, Alyssa Neese, Gretchen Fixen, Devin O’Loughlin) 10:58.01. SPRINT MEDLEY — 1. Prairie (Sarah Schmitt, Andorf, Cortez, Carli Reittinger) 1:52.29, 5. Cedar Falls (Penrith, R. Smith, A. Smith, Golden-Smith) 1:58.68. DISTANCE MEDLEY — 1. Hempstead (Ella Heim, Grace Becker, Emma Holesinger, Kaylee Leicht) 4:33.5, 4. Cedar Falls (Amanda Friis, Berte, Brokenshire, Jayna Freeman) 4:45.98. SHUTTLE HURDLE — 1. Iowa City High (Ansley Te’Nia, Jordan Sekafetz, Mia DePranger, Caroline Schaeckenbach) 1:06.98, 2. Cedar Falls (Lily Becker, Madelyne McFarland, Noelani Mattson, Barney) 1:09.61. HIGH JUMP — 1. Meghan Prohaska (Jefferson) 5-0. LONG JUMP — 1. Sarah Albaugh (CF) 17-11, 2. Emerson Green (CF) 16-0 1/4. SHOT PUT — 1. Fleckenstein (Hempstead) 34-9 3/4, 3. Allison Flanscha (CF) 34-5 1/4. DISCUS — 1. Fleckenstein (Hempstead) 109-9, 5. Flanscha (CF) 97-11. TEAM STANDINGS -- 1. Benton Community 162, 2. Solon 164, T3. Columbus and Independence 171, 5. Williamsburg 173, 6. Clear Creek Amana 176, 7. Center Point-Urbana 180. MEDALISTS -- Ethan Fox (Indee), Kaden Howard (Indee), Jacob Heit (BC), Nate Ettleman (BC), Brandon McCarty (CCA), 39. COLUMBUS -- Ben Skyles 41, Ben Sinnott 43, Charlie Lorenz 43, Trey Mudd 44. SINGLES -- Siddhartha Kalala (CF) def. Dylan Fair 6-2, 6-2, Ben Campbell (CF) def. Josh Huseman 6-2. 6-4, Pranav Chandra (CF) def. Gregor Kincaid 6-1, 6-0, Neel Shah (CF) def. Auden Rader 6-3, 6-2, Cedric Hassman (CF) def. Will Lawless 6-1, 6-1, Vikash Ayyappan (CF) def. Connor Sindt 6-1, 6-4. DOUBLES -- Kalala-Campbell (CF) def. Fair-Huseman 3-6, 6-1 (10-8), Chandra-Shah (CF) def. Rader-Lawless 6-0, 6-0, Hassman-Ayyappan (CF) def. Kincaid-Sindt 6-3, 6-0. SINGLES -- Kalala (CF) def. Colton Witthoft 6-3, 6-1, Campbell (CF) def. Buerger 6-0, 6-2, Chandra (CF) def. Bailey Rice, 6-0, 6-0, Shah (CF) def. Matt Maiers 6-1. 6-2, Hassman (CF) def. Ben Hingtgen 6-0, 6-0, Ayyappan (CF)def. Hefel 6-1, 6-2. DOUBLES -- Campbell-Chandra (CF) def. Witthoft-Maiers 6-2, 6-0, Kalala-Ayyappan (CF) def. Buerger-Rice 6-1, 6-1, Shah-Hassman (CF) def. Hingtgen-Hefel 6-0, 6-0. SINGLES -- Zach Heyerhoff (West) def. Witthoft 6-2. 6-0, Nick Ritland (West) def. Buerger 6-4, 6-4, Andrew Christensen (West) def. Rice 6-1, 6-0, Maiers (WD) def. Will Klabunde 4-6, 6-1, 10-3, J.P. Richmond (West) def. Hingtgen 6-3, 6-2, Hefel (WD) def. Austin Tieskotter 7-5, 6-3. DOUBLES -- Heyerhoff-Christensen (West) def. Rice-Maiers 6-1, 6-2, Witthoft-Buerger (WD) def. Ritland-Klabunde 6-1, 6-1, Hingtgen-Hefel (WD) def. Richmond-Tieskotter 6-3, 4-6, 16-14. DOUBLES -- Fair-Huseman (DS) def. Heyerhoff-Christensen 7-5, 6-3, Roder-Lawless (DS) def. Ritland-Klabunde 6-7, 7-5, 10-3, Kincaid-Sindt (DS) def. Tieskotter-Richmond 6-3, 6-2. DOUBLES -- Keeran/Keeran (CF) def. O'Donnell/Kaiser, 6-0, 6-1, Amjadi/Knox (CF) def. Ries/Sampson-Brown, 6-3, 6-4, Escalada/Dodiya (CF) def. Hartel/Ram, 6-2, 6-2. SINGLES -- K. Keeran (CF) def. McKenzie Simon, 6-0, 6-1, M. Keeran (CF) def. Brianna Dolpin, 6-0, 6-0, Amjadi (CF) def. Olivia Kertels, 6-1, 6-0, Knox (CF) def. Meg Besler, 6-0, 6-0, Escalada (CF) def. Grace Pitz, 6-1, 6-0, Dodiya (CF) def. Amanda Dongherty, 5-7, 6-2, 11-9. TEAM STANDINGS -- 1. Cedar Rapids Prairie 136, 2. Iowa City High 108, 3. Cedar Rapids Kennedy 95, 4. Dubuque Hempstead 84, 5. Cedar Falls 81, 6. Cedar Rapids Jefferson 48, 7. Cedar Rapids Xavier 37. 100 -- 1. Madie Andorf (Prairie) 12.73, 4. Anisia Smith (CF) 13.13. 800 -- 1. Rachel Nagel (Jefferson) 2:27.04. 1,500 -- 1. Ella Popenhagen (Kennedy) 5:04.32, 6. Devin O’Loughlin (CF) 5:35.52. 3,000 -- 1. Popenhagen (Kennedy) 10:43.11, 2. Paige Wageman (CF) 10:55.88. 100 HURDLES -- 1. Kajsa Gerkens (Kennedy) 15.06, 5. Noelani Mattson (CF) 16.31. 400 HURDLES -- 1. Lilly Reynolds (ICH) 1:10.39. 4x100 -- 1. Hempstead (Hailey Klein, Emalee Ryder, Megan Hammerand, Janyla Hoskins) 51.78, 6. Cedar Falls (A. Smith, Raelynn Smith, Grace Penrith, Lauryn Bennett) 54.34. 4x200 -- 1. Iowa City High (Emma Cooper, Azzura Sartini-Rideout, Ayana Lindsey, CeCe Kelly-Harvey) 1:49.57, 4. Cedar Falls (A. Smith, Penrith, R. Smith, Jada Golden-Smith) 1:53.54. 4x400 -- 1. Iowa City High (Kelly-Harvey, Peyton Naeve, Caroline Schaeckenbach, Lindsey) 4:08.27, 3. Cedar Falls (Grace Berte, Golden-Smith, Albaugh, Rachel Brokenshire) 4:28.83. 4x800 -- 1. Iowa City High (Lucy Corbin, Jae Dancer, Rowan Boulter, Aly Hecker) 10:28.43, 5. Cedar Falls (Natalie DeGariele, Alyssa Neese, Gretchen Fixen, Devin O’Loughlin) 10:58.01. SPRINT MEDLEY -- 1. Prairie (Sarah Schmitt, Andorf, Cortez, Carli Reittinger) 1:52.29, 5. Cedar Falls (Penrith, R. Smith, A. Smith, Golden-Smith) 1:58.68. DISTANCE MEDLEY -- 1. Hempstead (Ella Heim, Grace Becker, Emma Holesinger, Kaylee Leicht) 4:33.5, 4. Cedar Falls (Amanda Friis, Berte, Brokenshire, Jayna Freeman) 4:45.98. SHUTTLE HURDLE -- 1. Iowa City High (Ansley Te’Nia, Jordan Sekafetz, Mia DePranger, Caroline Schaeckenbach) 1:06.98, 2. Cedar Falls (Lily Becker, Madelyne McFarland, Noelani Mattson, Barney) 1:09.61. HIGH JUMP -- 1. Meghan Prohaska (Jefferson) 5-0. LONG JUMP -- 1. Sarah Albaugh (CF) 17-11, 2. Emerson Green (CF) 16-0 1/4. SHOT PUT -- 1. Fleckenstein (Hempstead) 34-9 3/4, 3. Allison Flanscha (CF) 34-5 1/4. DISCUS -- 1. Fleckenstein (Hempstead) 109-9, 5. Flanscha (CF) 97-11.